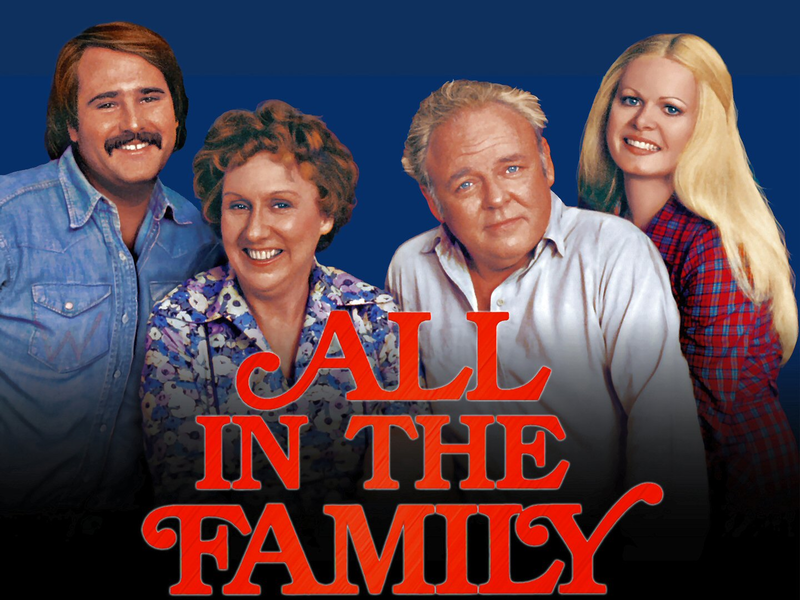 My Friday Fave is an old tv show -- All in the Family. I was too young to get this show when it originally ran, 1971 - 1979. It is airing this summer on Antenna-TV and I am really enjoying catching up and watching it from the beginning. The show is about the Bunker family in Queens, New York. Archie Bunker (Carroll O'Connor) is a World War II veteran who is a working class guy with a lot of very traditional (and often bigoted) opinions. His wife Edith (Jean Stapleton) is kind and long suffering. She comes across as naive, but often offers homespun wisdom. They have one grown child, Gloria (Sally Struthers), who combines her mother's good nature and her father's stubbornness. Gloria is married to Mike Stivic (Rob Reiner), who is a politically liberal grad student. They all live together in the same house, and Archie and Mike find much to disagree about. It is a thought provoking show, and a very funny one. I can't believe I've never seen it before! If you like All the Family, I would love to hear your thoughts on the characters, favorite episodes, etc. in the comments section.